MCN Road Tester Adam Child is currently riding KTM’s brand new 690cc LC4 range out in Almeria, Spain, these are his first impressions. 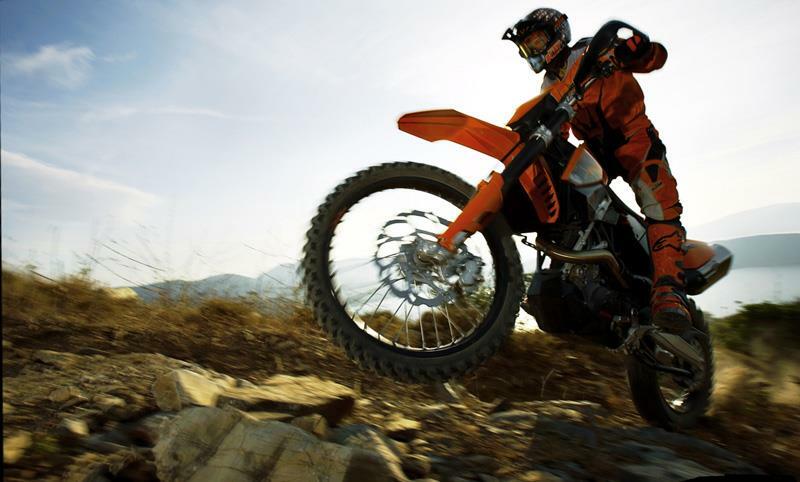 “The first bike of the new family is the 690 Enduro and although it has the classic, aggressive KTM styling, even for a relative novice it’s impressively user-friendly and easy to ride. "There seems to be a good spread of power plus, in addition, KTM have added a three-way switch located under the seat which switches between different ignition maps so allowing the rider to select between different power modes. "These modes are ‘Normal’, ‘Soft’, which reduces power by 30% for a smoother delivery and ‘Extreme’ which heightens throttle reponsiveness." Adam will be riding the other members of the new LC4 family, the 690 SMC and 690 Duke, shortly, so check back soon. And for the full report on these bikes don’t miss the February 13th issue of MCN. Chad’s heading out on the supermoto track this afternoon to try the new 690SMC.